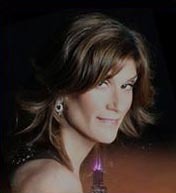 Accomplished vocalist and band leader and her fabulous group of world class Chicago Musicians will bring sophistication and elegance to your event. Whether it’s an office holiday party, a corporate function, a non-for-profit gala, a wedding or an intimate reception Lori’s music can either be front and center or provide a great background effect for your event. Lori’s repertoire consists of songs from The American Song Book as well as classics from the 40’s up until the present, performed in her inimitable jazzy/pop style. Lori and her musicians offer up an alternative to the Top 40 bands that only play the current hits. Lori can tailor the size of her group, depending on the nature of the event. The holidays are approaching fast and it’s not too late to book Lori and her group for your upcoming event. Or if you are planning a wedding or a corporate function, now is the time to book so your date will be available. Please check out my website for more details. Fill out the contact sheet with all of your event information and submit for pricing and availability! Email me for details and date availability. Offer good with a 4 hour minimum.